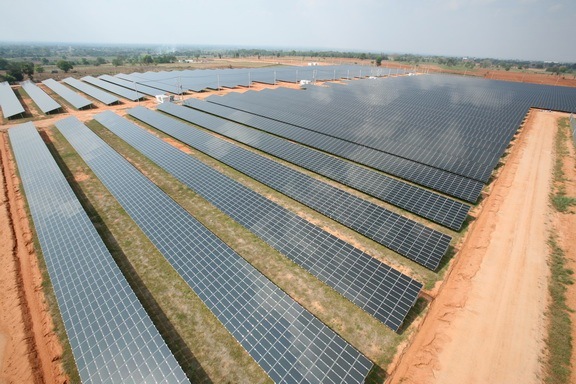 Sonnedix Group and First Solar have announced in February 2012 the completion of works on the Nakhon Ratchasima solar farm in the Khorat region of north eastern Thailand. The 7.5MW photovoltaic plant, based on First Solar's cadmium telluride (CdTe) modules, will meet the annual electricity needs of more than 5,100 homes. The solar power plant, one of the biggest in Thailand (as in February 2012), was built by Sonnedix with support of Assyce Fotovoltaica and Ch. Karnchang Group using around 95,000 of First Solar's innovative CdTe thin-film solar modules. Sonnedix is a global solar power producer whose management has a track record of more than fifteen years in Asia. The project in Nakhon Ratchasima is its first to become operational in Thailand and is understood to serve as its strong base for developing and building utility-size solar farms and large rooftop solar power plants. Covering around 20 hectares, the Nakhon Ratchasima Solar Farm can supply enough electricity to meet the annual needs of about 5,100 average Thai homes. It is expected to generate more than 10.5 GWh of clean, green electricity per year, offsetting carbon dioxide emissions of more than 6,500 tons a year. 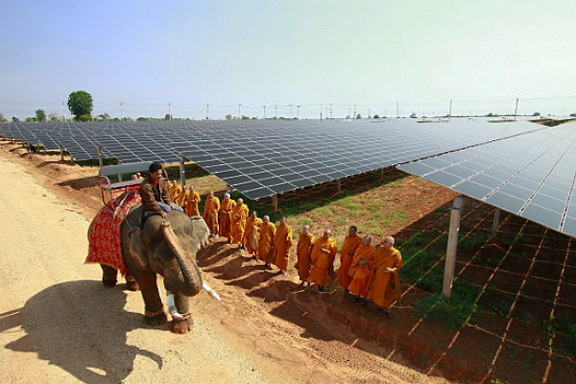 The completion of the solar farm shows the commitment of the Thai government in reducing fossil fuel dependence and greenhouse gas emissions. This project is also touted to have the smallest carbon footprint of any current PV technology. This is a combine effort and partnership of Sonnedix Group, First Solar and the Thai government. Another partner, a Spain-based Assyce who carried out the engineering, procurement and construction on the project showed that Thailand is prepared to work with foreign companies to speed up the growth of its Renewable Energy program. Where is Malaysia in terms of implementation of the solar PV works to generate solar energy? Compared to Thailand, we are 'crawling'. In terms of producing solar modules, we are currently the world's third, just behind Germany and China. Is Malaysia intending to be the major producer/manufacturer of Solar PV modules but not generating solar energy itself? It will be wonderful to see these solar panels fitted to every roof of new homes in the future. @shah_ira. I think I've mention Pajam (or Pejam?) in my earlier Cypark article. What I mean with we 'crawl' compared to Thailand was, when we build 8MWp of solar farm, Thailand is already building a 80MWp. Many other initiatives in Thailand that indicate they will achieve their target of first 1GWp way before before 2020.
its a good investment. Kat malaysia nie boleh buat solar farm. Costing dlm 10 to 13 million. ROI in 6 to 7 years. Contract supply dgn TNB 21 years.....bayangkan untung atau tak untung....... :) THe best part is ...Sabah area boleh produce the highest output compared to Klang Valley by Solar Powered. @Mid Eddie - FYI, the 21-year FIT in Sabah has been suspended pending implementation of the 1% levy on consumers' bill, or, other alternative means for the state government to contribute to SEDA coffers.